I've been having trouble sleeping this week, probably because of stress, so I thought I would share some helpful tips from Must Have Been Something I Ate by Peggy Kotsopoulos. Sleeping is really important because it give your body time to regenerate itself and not getting enough puts extreme stress on your body. Not getting enough sleep can affect your mood, concentration, memory, and reaction time. We also produce melatonin while we sleep. Melatonin is an antioxidant that can fight cancer-causing free-radical damage. Also, sleep can help you lose weight because studies have shown that women that sleep fewer than 7 hours are likely to gain more weight. So how do you get enough sleep when you have a million things going on? No, red wine is not the answer (it might knock you out initially but will keep you up later in the night). The first step is to turn down the lights and relax for at least an hour before bed. Reading a book is better than watching TV because less bright lights are involved. Melatonin production starts when it's dark - not just outside, but in your bedroom too. Second, don't eat before bed because digestion will keep you up. Avoid drinking caffeine in the afternoon and evening because it stays in your system for a long time. Even drinking too much caffeine in the morning can affect sleep at night. Finally, when you go to sleep, make sure that ALL of the lights are out. Even small lights from your TV box or alarm clock can interfere with melatonin production. On the same note, melatonin production decreases with light, so invest in an alarm clock that gradually lights up to wake you up - it's so much nicer than waking up to an annoying beep beep! There are some natural foods to help you fall and stay asleep. 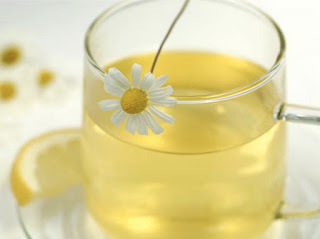 My favorite is chamomile tea. The chrysin in chamomile relieves anxiety and helps you fall asleep, so drink a cup about an hour before bed. 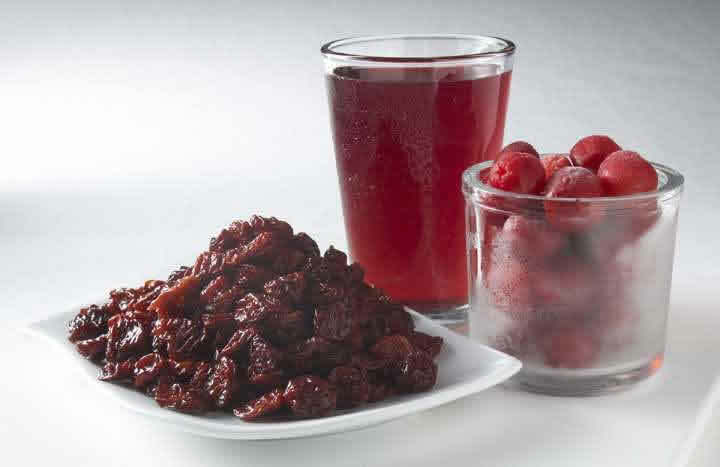 Tart cherries (like Montmorency and Balaton) are the highest plant-based source of absorbable dietary melatonin. While these won't put you to sleep right away, they will help you stay asleep. Another plus is that tart cherries have antioxidant and anti-inflammatory properties that help reduce muscle damage, pain, and inflammation. Perfect for recovering from workouts! You can get tart cherries in juice form, as a supplement powder, or just eat them whole. never knew that about tart cherries!!! i'm all in - and didn't know they had anti-inflammatory properties either. i'll buy some tomorrow for my dessert! tart cherries for dessert after dinner is a great idea! I've only found the juice at the grocery store but I'll have to make a trip to whole foods and they'll probably have them fresh or frozen. Welcome to Healthy Fit Goddess!